January 2016 - A snowy scene across Lake Windermere from Low Wood Bay. The Langdale Pikes are on the right hand side of the scene. 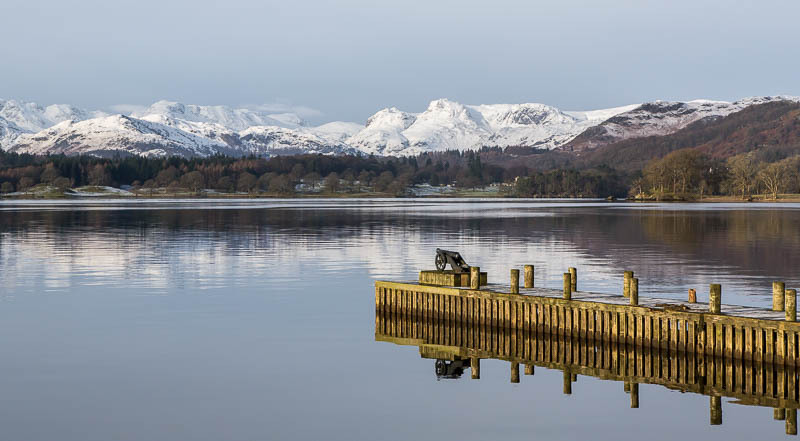 January 2016 - The Hotel Jetty with the Langdale Pikes looking very inviting. 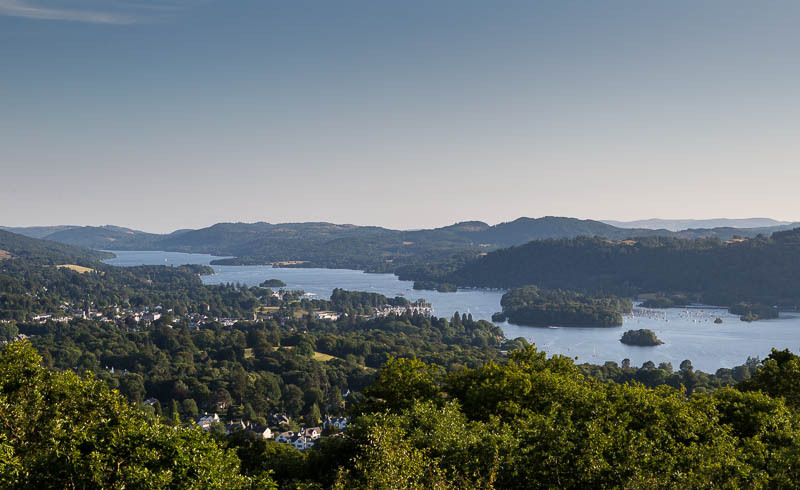 July 2018 - Lake Windermere from Orrest Head. July 2018 - Evening light on the central Lakeland fells. Scafell Pike and the Langdale Pikes. 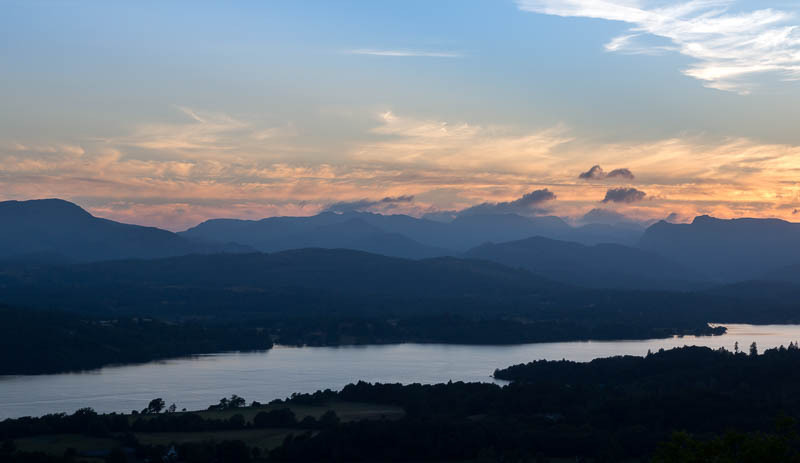 July 2018 - The last light of the day over Windermere from Orrest Head.